A thousand Japanese people were asked who their “most favorite” manga artists were. The results may surprise you. Maybe not! Website Charapedia published the results of the poll. Out of the thousand who participated, 52 percent were men, 48 percent were women, 72.5 percent were in their teens and twenties, and 27.5 percent were in their thirties and up. Here, let’s take a look at the top twenty. 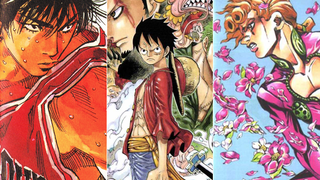 The list includes notable manga by each artist.